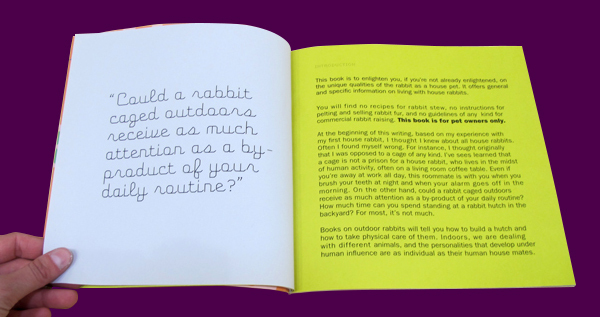 A redesign of House Rabbit Handbook: How to Live with an Urban Rabbit by Marinell Harriman. The original lacked color and excitement to keep the reader engaged. With such quirky content and writing, it needed a design to interact with.